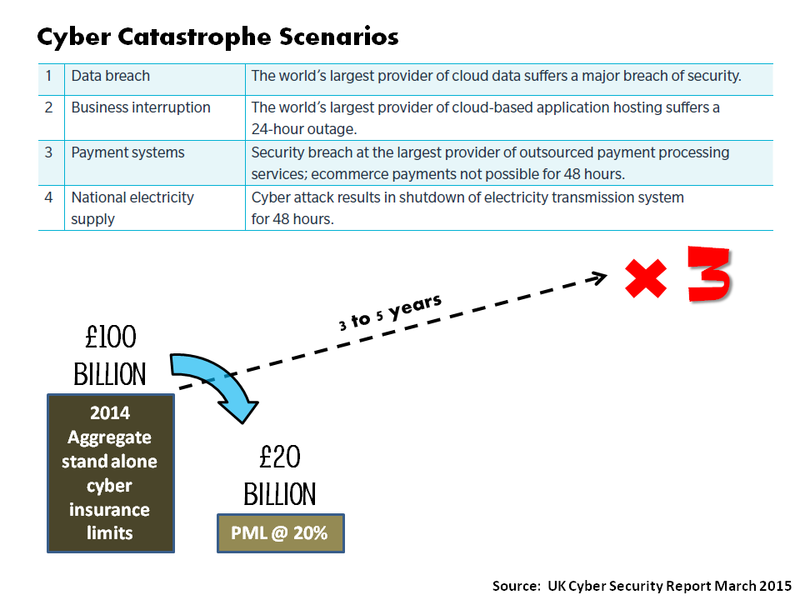 The UK government and Marsh released an interesting report today on cyber risk and insurance. Most cyber insurance is written on a standalone basis or as an add-on to professional indemnity, D&O, general liability or business interruption and property covers. Policy wording and terms and conditions vary widely. One of the current uncertainties is what will happen when a major attack, or more likely a frequency of industry wide cyber attacks, occurs and how traditional insurance exclusions will hold up in the case of legal challenge. The recent 2014 ruling on the Sony Playstation’s 2011 data breach provided the insurance industry comfort that they will stand up but nothing is certain when new types of losses unforeseen by existing policy wordings meet the US legal system. 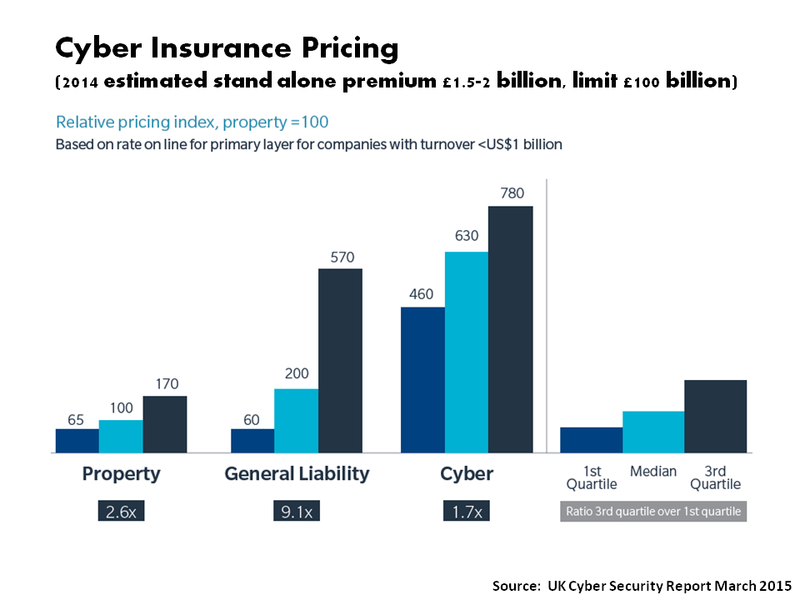 The report relieves some interesting facts on the market such as the quantum and variability of current pricing for cyber insurance, as the paragraph and graphic below show. On the topic of a probable maximum loss (PML) for the insurance sector, the report uses a fairly unscientific 20% of the estimated 2014 aggregate limit of £100 billion, based upon industry expert judgment, as a guesstimate. Given the need for insurers to diversify their product offerings in this soft specialty insurance market, future demand for cyber insurance products (the report says the cyber insurance market will grow threefold over the next 3 to 5 years) will mean that more accurate estimates for risk accumulations need to be developed. At this stage in the product cycle for cyber insurance, most insurers can likely rely on their friendly and premium hungry reinsurer to take the aggregation risk from their cyber exposures (estimated by the report to be £20 billion). Given the capital markets risk appetite for low yields and insurance risks, it would not surprise me if some investment bank is currently busily working away on the first cyber bond!